In this episode, you are going to gain an understanding of Maca and how it can help your fertility as well as how and why it could possibly make it more difficult to conceive. Every woman who is looking for natural ways to boost their fertility will inevitably come across information on Maca. Maca indigenous to the Andes Mountains of Peru has shown to improve litter size of livestock and increase uterine weight in women and sperm quality in males. Once Maca hit the market it seemed to be touted as a miracle panacea helping with everything from weight loss, libido, breast growth and of course fertility. The thing that concerned me was that though many sang it’s praises I also saw that Maca was problematic for many women but I didn’t understand why. Is there a lot to Maca we don’t know? The answer is yes. I reached out to one of the leading authorities on Maca and got a lot of important questions answered. Joining him is the lovely nutritionist and pre-conception expert, Jan Roberts. You are going to love this warm, engaging and lively interview and will come out of it well informed about this ancient root. 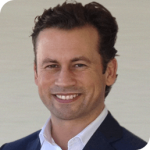 James Frame is the CEO and cofounder of Symphony Natural Health, a vertically integrated natural products company that spans 10 countries. This business includes organic and sustainable farming, value-adding manufacturing operations in Third World countries, year-round employment for local communities, groundbreaking product development and clinical research on natural products that address health conditions in novel and more effective ways. He has been in the natural products industry for over 20 years and has studied nutrition, exercise physiology, and natural products, and for over 20 years, his purpose has been to seek out and spread the truth about health solutions and the natural products industry working with some of the true experts, researchers and leading doctors in integrative health from around the world. You can learn more about James through the Symphony Naturals website and by emailing him at james.frame@naturalhi.com. 0:32 Charlene Lincoln: Welcome Welcome back to another episode of The Fertility Hour. I’m your host Charlene Lincoln. Thanks so much for joining us. And today, we are going to talk about maca. And so, I have two guests. I feel very lucky. He has been in the natural products industry for over 20 years and has studied nutrition, exercise physiology and natural products, and for over 20 years, his purpose has been to seek out and spread the truth about health solutions and the natural products industry working with some of the true experts, researchers and leading doctors in integrative health from around the world. 1:44 CL: Okay. And then I have my second guest, Jan Roberts—clinical nutritionist with over 50 years of professional and business experience. Since the publication of her first book in 1996, she has promoted wellness services and a number of best-of-breed products on behalf of her own company and others. While her specialty is having healthy babies, her wellness is message is relevant at all ages and life stages. She is the author of six books and e-books all published by Penguin Random House with multiple translations. She is passionate about her wellness message and a good role model for all her programs. She has presented to lay and professional audiences around the world, has written for consumer magazines and professional journals. In addition to her books, through a variety of social media channels she has made numerous radio and TV appearances and has her own weekly 1-hour program on BMR FM 89.1. Welcome, Jan. Thank you so much for being here. Jan Roberts: Lovely to be your guest, Charlene. 2:53 CL: Thank you. For those who are interested in your weekly 1-hour program, is that in Australia? JR: Unfortunately, it is. I should have taken that out of the bio realizing that’s really not relevant to our audience, yes. 3:09 CL: Oh, we have Australians so it is relevant. JR: Okay. Well, it’s Blue Mountains Radio. I get to talk about a whole bunch of things but my passion is the Healthy Baby message which is why we’re here today. 3:25 CL: That’s great, okay. Well, let me just do a quick kind of “how I found these two people”. When you are trying to conceive, you are inevitably going to come across information about maca. I mean, you are guaranteed to. And it looks so seductively promising as kind of the cure-all of all fertility issues. I mean, and it looks it would be safe pretty much for anybody to take. You can go down to your local health food store and just get whatever brand off the shelf. So the more I researched it, the more I realized I don’t know that much about maca. I have learned quite a bit since meeting these two. So I want to share a kind of how effective this medicine/this root can be but then some of the, I mean, there’s a lot to know about it and if you Google ‘maca made me…’ it will be: sick, tired, overweight, made my menstrual cycles irregular. So what the takeaway is it’s quite a powerful root and it can help and it can harm. Is that a fair statement? JF: I think depending on who you are and what stage you’re at, everything can help or harm. It just depends on who you are. So I think that’s one of the things that’s exciting about medicine is medicine is becoming more and more personalized, and so it really comes down to having what’s the exact thing that’s right for you as an individual. 5:07 CL: Okay. So in the case of maca, there are so many varieties. It’s pretty easily accessible, right, online and in the stores. Is there any problem with just kind of going down to your local health food store? I mean, I’m guilty of that when I start reading about maca. When I was trying to conceive, I just went to my local health Whole Foods and got a bag of it, I remember, that I can mix into smoothies. So talk a little bit about that. JR: James, do you want to do that? I mean, I think I can jump in here and just say that James and I met some time ago now and my knowledge of maca at the time was virtually non-existent. He has educated me and may I say the company has been instrumental in identifying how different phenotypes, the different colors, the different DNA profiles of maca have different effects on the body which is what makes the product we’re going to talk about so unique. So James, you might want to take over and just elaborate a little? JF: Yeah. Just to sort of touch on something that Charlene already sort of spoke about, is in my intro I was talking about how I work in a lot of Third World countries and one of the things that’s really interesting with herbs is that when you go to a Third World country or any country for that matter and you speak to indigenous people and you start asking them about what that different medicines that they used did, lo and behold, the moment that they know that you want to buy something, you can be pretty well rest assured that it cures everything from cancer to impotency… that’s not how to pronounce it! Impotence. And hair loss, you know, you name it. Everything. And so one of the things when you look at herbal medicine and all herbs from around the world is what we have done is really gone and tested the science and said, you know, what is true and what isn’t true? And what you’ll find is, is that a lot of these herbs are very good for specific things and then all of the other stuff that gets lumped into it, it’s not the case. And so, that’s one of the areas that we’ve really, really looked at. The other thing that we’ve really looked at is how is that herb produced or grown or created and how is it done traditionally and what are some of the methods that we can have a look at now. What’s really interesting and has been interesting for us is that with many countries, you find that the traditional way that they grew it and dried or if they dried it or processed it, whatever it was, was exactly the way it needed to be and then you find other places where they actually have no idea and they’ve just done it a particular way and you find out that when they do it that way, it actually destroys the active constituents in the herb, and if they did it in a different way. Of course, many of them don’t have the technologies historically that could change that herb but now we do. So that aspect of really looking at the science, looking at how a herb is created is really important for everything that we do. And so when it came to maca, one of the things that we found that was really profound was that in actual fact the way that they historically grew maca, the way that they historically dried maca, the way that they historically ate maca was all correct. And the way that we were starting to look at doing it, of eating maca raw and drying it in big industrial driers and all of these processes that we had done for the modern day fads because raw is better and drying it faster and more effectively is better but we found all of that was wrong, and that the way that they traditionally dried at an elevation, the way that they traditionally grew it in elevation, the way that they… or I used to eat it like a potato where they, you know, you don’t eat a potato raw. You cook it, you use water, you boil it or whatever the case is to change that structure so we remove starches so the body can digest it. But what was really interesting is what we’ve also found was that they didn’t quite understand how the herb could be used and what was really interesting for us is that within maca there’s 13 different types, 13 different phenotypes and there are different colors, they have different DNA, different active ingredients. And what we found is all of those different types grow together in natural ratios and the Peruvians used to have them altogether, make it into a powder, put it through their process of cooking or with water, and eat it. That’s how they did it. But what we found was that there was all these different colors where potentially very different and could do different things. And the Peruvians never realized that. And that’s why a lot of this research and information is new because it’s never been sort of investigated before. For 2000 years the Peruvians knew exactly how to grow it and eat it and create it and all of those things but when it came to potentially isolating it and use—not isolating actives but isolating individual types and using them. The example I often use for people is mushrooms. Like imagine with different types of maca roots, exactly like mushrooms. You got all these different types of mushrooms. They’re all mushrooms but each mushroom does something different. So if you’re making a mushroom combination product and you’re getting 5 different types of mushrooms, you want to know what they are depending on what your body needs. So it’s a long explanation but hopefully that’s a good lead-in to sort of set the tone or set the story of why things are so different now. 11:08 CL: Okay. Right. I mean, I knew so little about maca even though I’ve taken it myself but I didn’t even know about the phenotypes. And for those who are not familiar with phenotypes, you’re saying the observable characteristics of a plant, right? JF: So phenotype relates to the genes and the environment. So what happens is, and is what’s really interesting, and maca is a terrific example of it, is that if you have all seeds for black maca for example, and you plant it in one area, it’s going to manifest in all the different colors of maca. It’s not just going to be black. But depending on where you grow it, depends on what those ratios will be. So you’ll get all the colors but the ratio. So basically the environment and the gene is combined to evolve and manifest in a particular way. And so it’s really interesting as an example, if you grow maca at elevations below 8000 feet above sea level, there’s virtually no efficacy. And the higher elevation that you go, the more efficacy, and that obviously relates to soil, environment, a whole range of sort of factors that play a part in relation to that. And this is taking us down the tract but what’s been profound for us is that if we are looking at red maca for example for men with prostate or we’re looking for red maca for women and we’re looking at it for bone health, we actually want to grow those in different locations because they manifest and the active ingredient profiles are more optimal for bone health for women in one region but if we grow and we look for red maca in another region, it’s more ideal for men in prostate. So it’s really, really interesting how that happens. And that happens in a lot of herbs. We just don’t hear about it. We are heavily involved in kava and what we know is that the kavalactone profile depending on which island and which region of the South Pacific changes and that’s what you use the kava for. St. John’s Wort. The St. John’s Wort analytical profile changes depending on if you grow it in South America or Australia, China or Europe. And again, those varieties and they have a profound impact on the active constituents. So what we looked at with every herb that we do, we say, “Okay, let’s test everything from around the world,” and where’s the best country or even region within a country for us to grow that exact herb for that exact use. That’s why our companies are a little bit different in that we’re vertically integrated. That’s why we’re in so many countries because if we find something, we have to go there because we control it from seed to shelf. For us, it’s not just where we grow it. We’ve actually found that lunar cycles, funnily enough, impact the active constituents with some herbs; diurnal cycle, the active cycle during the day, the rainfall, elevation, all of these things have an impact. And so, you know, an example that I often use is imagine if you could harvest an orange and you got it from a particular place in Florida and if you harvest it during a four-hour window during a particular time of the season and a particular time of the day, you could get vitamin C levels that were 500 percent higher than if you harvest it another time. If you’re eating that orange for vitamin C, you want to get it exactly at that time and that’s exactly what we do with all of the herbs is look at it from that perspective. 14:46 CL: That’s really interesting and it makes me think that there are probably harvesting times if you’re talking about plant life where you could optimize different nutrient levels, I guess they probably aren’t doing that time of research yet but that’s really fascinating. JF: It just depends on the plants if they have flowers, if they don’t, if they’re a tuber, if whatever they are, that’s when the sun plays a part but season, yeah, it’s really interesting. 15:14 CL: There’s going to be some people listening who are really interested in the science behind this and then there’s others that are going to go “Let’s fast-forward and just what kind for me, I’m trying to conceive. What color or what brand should I be taking?” You know, those kinds of considerations. You even taught me about the packaging of maca which I think is really interesting. But as far as let’s go back to when the Peruvians were using it and wasn’t it using it with livestock? Is that how they found out about litter sizes becoming bigger? The use of it. JF: So they knew about it for fertility with livestock because it would improve the fertility but the primary, they did seem improvements in litter sizes and they also just saw healthier animals in general. And then since then, they’ve done animal studies and they’ve actually found that there is a particular type that’s ideal for men, for sperm production and sperm motility and then they found that there’s a different type which is ideal for litter size and uterine weight and other aspects which relate to fertility. So yeah, so what’s interesting is they learned that about fertility and saw that and how the Peruvians were using it, and then people have sort of taken that and started to look at which were the actual types of what do they actually do in relation to fertility. Litter size is an easy one but it was a little bit hard 2000 years ago to count sperm production and sperm motility. 17:00 CL: Sure. I mean, tell us like what were the specific ones as far as that we’re showing for uterine weight. JF: What we found in animal studies, I found that yellow maca is ideal for litter size and for uterine weight and for sperm production and sperm motility, we found black maca is the ideal one. 17:27 CL: Okay. This is something you taught me, that you could assume that when you buy maca wherever you’re buying it, that it’s all yellow but that’s not the case you say that when it’s processed, it all looks yellow whether it’s a red maca, yellow or black. Correct? JF: Yeah. So it’s a little bit like an apple, is that it’s just the color of the outside skin that visually looks different. Inside it all looks the same. That’s one of the things that we’re very lucky is that we actually can see the color on the outside so we can differentiate and align them. So yeah, so all the maca that you generally find on the shelf is a combination of all the different types mixed together in the natural ratio it sort of grows, exactly how the Peruvians have used it for 2000 years. If you find an individual color in a store, then obviously that hopefully is that individual color that’s been made into a powder. 18:23 CL: Okay. Tell us about also, you know, if you go online there’s all these recipe that using maca powder in a smoothie, what could be the potential issue of having a powder? There’s a lot of powders obviously on the market but your product is actually in capsules blister pack. What’s the reason for that? JF: So when a product is raw and maca is a good example, it often is quite stable because it’s in its natural form. But the trouble with raw maca is that it’s very hard for our body to digest. Raw maca has a water solubility of about 68 percent but when you use a process which we use and many companies do called gelatinization, you’re actually able to change the structure and remove starches and change it so that the body can absorb it a lot better. In the end, gelatinized macas range from anywhere between 84-85 percent to 99 percent water-soluble, so really increases that bioavailability. The head of our R&D has perfected it to such a degree that he has our product where it’s 99 percent water-soluble, so it’s highly absorbable and highly bioavailable. In addition to that, one of the things in the United States is that when it comes to selling a food which a powder is, you don’t have to worry about the stability of the active constituents. You just have to make sure that it’s not going to have bad microbiology. However, when you’re selling a nutraceutical in Europe and if you go to Europe and you see, you know, nutraceuticals or supplements, you’ll find even cheap discounted ones are in oxygen barrier blister packs. The reason behind that is, is the regulations that they have in Europe state that the product that you have needs to comply not just from the moment that you take it but through its entire life cycle and it has to take into consideration the continual oxygen and moisture getting in there. Now if you have a bottle of pills and you open it up, oxygen and moisture gets in every single day breaking that down. If you have a powder and open it up, oxygen and moisture gets in there and destroys it. We actually found that having gelatinized maca in a powder that when it’s sitting on the shelf, been opened once, it can degenerate by 50 percent within 6 months, and its degeneration when you open it and are using it continually day after day is so dramatic it’s profound. Obviously, humidity and other facts play a part depending on where you’ve opened it up, but basically we found that it was so volatile and the loss of active constituents was so profound that the only way that we could protect and ensure that when somebody is taking it that every capsule that they get every day was to one, pack it in really high quality capsules, but two, have it in oxygen and moisture barrier blister packs because that was the only way that a woman two months down the track when she’s taking her final capsule can be assured that it hasn’t degenerated at all and it’s fully protected. 21:56 CL: I’m interested in the studies that your company has done. I think it was about the HPA axis regulations. Does Jan want to input on this? I mean, either one of you. But I was interested in those studies because, you know, honestly when I was doing research on maca, I didn’t want it to become like this promotional thing for one brand because I don’t really have an affinity. I was just trying to educate. But when I was really having the discussion with you and reading articles that Jan has published, really is this accurate that your company is the only one that has really done like independent research trials on maca? JF: Yeah. I’ll talk about this one. The thing that’s going to be awesome about Jan and one of the things that’s important about us is that Jan is involved in our company because preconception and fertility is a profoundly important topic, we believe, from the overall health of mankind is concerned. And the reason that Jan is involved in our company is because she recommends, Jan has written six books and she talks about everything. She talks about detoxification, she talks about microbiome, vitamin D. Zinc is one of her favorites. Magnesium, exercise, sleep, stress, water, salt. You name it. Jan talks about everything. But she realizes that one of the fundamental keys for fertility to conceive and also hold a baby full-term and don’t have a miscarriage is hormone imbalance. And so, when she went through all of the data and I’m putting words in your mouth but you can talk. JF: Basically was that… And if you look at the medical board that we have for our company, we have experts in women’s health who promote a huge range. Some of them even have their own lines of women’s supplements but the reason they’re on our medical board is that to date, we’re the only natural product company which is profound, maca or otherwise, that has a natural product that has clinical evidence demonstrating statistically significant effects on women’s hormones at each stage of life, which is profound, because you know, we hear about hormone balance all of the time. Every product under the sun. And yet, we’re the only company that has evidence of women having these statistically significant effects when they’re post-menopausal, when they’re peri-menopausal, when they’re young, so all stages of life. Now don’t get me wrong, women are actually able to impact hormones when they’re younger, so there is products that impact women’s hormones when they’re younger. But the predominant impact on hormones for women when they’re younger is triggering the adrenals. So it’s giving them energy. And if they need to trigger the ovaries and they have low levels of estrogen and they have amenorrhea, it’s triggering that. But as we discussed, the thing that’s really interesting is when you have conditions like PCOS, we want to be actually affecting the hormone balance within the body which is the hypothalamus-pituitary-adrenal axis. In that case we want to be reducing testosterone, supporting estrogen, rebalancing that hormone profile. And so that’s where it’s so profoundly important to balance and regulate hormone production within the body is when you have those conditions which the body is completely out of balance and it’s not just about increasing something; it’s about balancing and regulating everything which requires the whole HPA and biofeedback. So I hope that sort of answered your question, but yeah, that’s the thing. I hate when people come on and it’s just like “It’s feminist, it’s feminist, it’s feminist.” So I have about 10 products listed here which I’m quite happy to talk about and we’ll probably put it, interject at different times, that come from other companies. Because when we empower our customers and we talk to women about preconception which is what Jen and all her books are about, it’s not just about hormones, it’s about everything. But as we sort of say, but this is the only one that has all of this clinical evidence and has the evidence to show these effects on hormones. So when we’re talking about that aspect of hormones, look at this. When we’re talking about probiotics, have a look at these companies because we reckon these are some of the best ones. When it comes to multivitamins and minerals, you look at these levels and these forms. And, we don’t do any of those. We don’t do probiotics, we don’t do multivitamins, all of those other areas. It’s just our focus at our company has always been that the only way we’re ever going to launch a product at our company is if we think that we can do it better than anybody else and do something completely unique and different, or have clinical trial results that supersede everyone else on the market. You know, we make the joke there would be nothing worse than us coming up with Echinacea and we go, “Oh, it’s the third or fourth best Echinacea in the world.” But it’s got really pretty packaging. Who wants to do that? The only way you want to launch a product is if you can—from our perspective anyway— is if you can do it better than everybody else. And so that’s why we have a small line but the line that we have does things pretty well. 27:33 CL: Yeah, I was definitely impressed by that. Let’s talk about PCOS. Okay, so you brought that up because women who have taken maca with the diagnosis of PCOS, it’s been problematic for them. Correct? I mean, you said the balancing of certain hormones versus what happens I guess when someone takes I guess a maca of unknown origin and it has negative effects on the PCOS. What’s going on there? JF: Jan’s part of our medical team so she talks to customers about this all the time. ut to go to the PCOS question, go back to the 13 different phenotypes, if you’ve got a blend of those in your generic maca powder that you bought off the shelf, you don’t know exactly what phenotypes are in there. It’s a bunch of different ones. And if you have got some that are for men, it’s going to make PCOS worse which of course where our product is unique. It has only the phenotypes that are specific for supporting fertility and supporting the hormone balance prior to conception. I can’t put it anymore simply than that. JF: I can actually tell you the phenotypes. Like the black, and so, you know, we use high levels or not super high levels but significant levels of the black phenotype in our men’s product because it is ideal for sperm production and sperm motility. One of the other factors with black is we know it’s really good for energy and stimulates the adrenals. But if you have PCOS and you just stimulate your adrenals, what’s going to happen? It’s potentially going to make it worse. But what we also found is that there’s particular types that nourish the hypothalamus. So if you can get types that nourish the hypothalamus, pituitary and the adrenals to have biofeedback, you have the ability to balance and regulate production versus just stimulating the adrenals. And so, that’s why when it comes to energy, all of our products are women’s products can have benefits but not to the degree that a woman might get from normal maca because of the different phenotype blends. So when it comes to women’s health, that’s why we say use our Femmenessence products, but if you’re interested in men or energy or whatever, then we’ve got a men’s product or you can look at other options. So yeah, that phenotype aspect is just profoundly important because it can be the difference between you making things worse or getting things better. And yeah, it’s really interesting. We never expected it would make it worse until we started just getting huge amounts of customers who would say like, “Oh, this is maca? We don’t want to use maca because we’ve tried it and it actually made our symptoms worse.” Or women who have used Femmenessence didn’t realize how different it was used normal maca and their symptoms came back and they came back to us and went back on Femmenessence and it corrected again. One of the most amazing stories I ever had was a young girl who had PCOS and she had terrible symptoms. She hadn’t had a period in 11 months. She started Femmenessence and within 5 weeks she had her first cycle and then had a consistent cycle for the next four months or six months, she bought our starter pack. And then she saw maca much cheaper in a health food store and she said, “Oh, I’m going to try this.” And she bought it and all of a sudden four weeks later, her cycle didn’t come back and her symptoms started to come back, had hair loss, acne, all these things. And then about 8 weeks later when her cycle didn’t come back for the second time, she immediately called our medical team and she spoke to one of our medical team and our team said, “Well, you know, because the phenotypes are different.” She said, “It can’t be that different.” And we’re like, “No, they’re that different.” It’s that profound that you use the right types, it can correct it. Use the wrong type… So she went back on the Femmenessence, within a week her cycle came back. She continued to use Femmenessence. And the reason she continued to use it was that she ended up using it from that point for I think it was 16 months and the reason was that she was getting married 6 months later and she wanted to have kids straight away and that was the whole reason that she was starting to looking at doing it. And lo and behold, 16 months later, she conceived and yeah, had a perfectly healthy baby. So we get to hear all these stories because hormone balance is a process. It’s not always that long. But, you know, hadn’t had her period in 11 months, wanting to get completely over PCOS, get married, go through preconception health with all of the things that Jan recommends and then to conceive and hold a baby full-term and have a perfectly heathy pregnancy and perfectly healthy baby, that’s a process and it might take you 16 or in her case about 20 months to do that, to get her body fully, fully healthy. She was lucky she was younger so she had time on her hands. 33:27 CL: Right. Which I mean really in the big scope of things to have a healthy baby, that’s a small sacrifice in a blip of time in that case. JF: I think one of the things Jan probably doesn’t have on her bio, Jan had her children at 38 and 43. She’s speaking firsthand. This isn’t pontificating from a great height and not having firsthand experience. JR: Oh, that’s how I got involved in this whole enterprise. And I don’t think it was in my bio. I had a pharmacy background. I got out of pharmacy into nutritional medicine and while I was doing that course, I heard of the work of a UK-based association promotion for pre-conceptual, they call it preconceptual care. So I did all of that stuff. I had not ever intended to have a family and then I thought, “Well if I ever do, that’s what I’ll do.” And this set me on an entirely different career path. I got out of pharmacy into natural medicine and preconception care with the whole idea of having the healthiest baby possible. That is my focus. It really is of course improving fertility along the way but every aspect, as James said carrying the baby to full-term, making sure the baby is a decent weight, easy to settle, breastfeeding goes successfully. That whole reproductive spectrum is improved and enhanced. So that’s my brief. And if we can just for a moment take the sort of equation of preconception care apart, first of all we’ve talked a lot about women’s hormone balance today. I just want to emphasize that good preconception care must involve both partners equally. That’s my mantra. This is an equation that takes two people. It should be in place. Everything should be squeaky clean. So all of the lifestyle changes, all of the dietary modifications, the hormone balance and all the other things I’m just going to mention, need to be in place for a minimum period of four months before you even start trying. So we don’t want you to start taking a product that we might suggest today and then start to, you know, think a month later it’s going to work. The critical thing is during those four months prior to conception, eggs are very susceptible to damage, sperm are forming in that period so all of your toxins need to be out of the equation and all the positive foundation things need to be in place. So if you wanted to take that further, I can as James has just sort of bullet-point some of the things that need to be there. JF: Jan has a great story about how all this cycle or how this thought process sort of came which was research that came out of World War II from is it Denmark or Holland? JR: Holland. The Dutch Hunger Winter, it’s commonly referred to. It was a period of starvation at the end of World War II and the studies are now very, very long-term. They’ve looked at subsequent generations, showing that this starvation that occurred during the preconception period was much more damaging to the health of the baby than when a pregnant woman experienced starvation. And that’s a profound finding and that’s obviously not new. The research around preconception health being important is as maca is, it’s thousands of years old really. We think it’s new. People say to me, “Why do we have to do all of this stuff? We never done that in the past.” It’s not true. We have. Traditional societies have fed special diets to the young men and young women. Farmers and stock breeders know all about it. But just to go back, I mean, I kind of got off the topic there but yes, I had my babies at 38 and 42 doing all of the preconception stuff. By the time I had an easy conception at what was considered to be a late stage in life, a trouble-free pregnancy, a really short and straightforward labor, and then extremely healthy babies who are now young men and babies of their own, I thought this is a story that I need to get out to the world and all along the way of course I’ve looked, as I said, for the products that best support the steps that couples need to take. And ‘couple’ is the sort of key to this here and James, you might like to—because you’re a bit closer to the parenting stage of life than I am now and you’ve had two very successful. Can we say that? Can we talk about your Femmenessence babies? Your Femmenessence and revolution babies, we should be saying. 38:35 CL: Just real quick. The preconception care topic, I mean you’re singing to the choir. I mean, it’s just, yeah, 100 percent. I mean, that’s what we are preaching and educating as well. And obviously, by doing the podcast on maca, there’s no way that I would ever say “Oh yeah, just take this one herb, one supplement, one anything.” It’s part of a whole preconception program and we preach that till we’re sort of blue in the face because it’s that important and I really, really hope because yeah, it drives me crazy. There’s kind of that old “Oh, if that happens, it happens.” Or, you know, “We’re not doing anything to stop it.” That kind of stuff kind of drives me crazy like no, you’re preparing to create life; it’s not just a happy accident. You’re actually prepping the body to make your child. So slowly but surely the wheels are turning and the message is getting out, but yeah, absolutely. JF: To let everybody know where the future of science is heading and we’re lucky that we are connected to a lot of companies and researchers in pharma and all around the world, you know, when we’ve heard about genetics everybody sort of thought, “Okay, great. With genetics we can go in there and manipulate it and make sure people are going to be born healthy” and all of that. We found out that that’s not really the answer. The thing is, is that epigenetics is how those genes are expressed and how those genes are impacted by our environment are the key. And we’ve actually found that you can have two parents who have a particular recessive gene that if they do preconception health and get perfectly healthy, they can conceive and have a child where that gene isn’t expressed. Now that is something that we’ve been like, “Wait a sec. Wait. We’re not going in there and manipulating every science.” If we have two parents with a recessive gene then we would almost certainly expect that child to have by us doing preconception health, we can stop that gene from being expressed. Like that’s profound. Like that’s a huge, huge factor. And so that preconception stage is just so profound and as Jen said, even the research is showing that that is more impactful to the health of the child for the rest of their life than the health of the mother when she’s pregnant. Like the health of the mother before conception is more important than the health of the mother when she is pregnant. Which is completely counterintuitive to everything that we sort of thought about. 41:19 CL: That’s profound. Yeah, thanks for bringing that up. JF: And we hear about the emotional psychology, you know, of when you’re looking at, for example, the Holocaust, in particular, races where that imprint into the genes is there and that trauma is passed through, there isn’t just the genetic expression, there’s also vitamin and mineral deficiencies or toxins which passed through generations as well. So this preconception concept of us emotionally, physically, like every aspect getting it right before we decide to have a child so that they aren’t potentially bearing the burden of us emotionally or physically or in all of these respects. 42:10 CL: And Jan, you’re talking four months is a minimum time period. Another interview and they were saying, you know, two years and it’s like for some people that’s like “Oh my gosh! I’m 38 or whatever. I can’t commit two years.” But ideally, if you could give that time, I mean you’re really not going to run out of eggs in that period. I mean four months, that’s an amazing amount of time and that’s wonderful. JR: It’s the minimum and as James explained, it can be longer than that. It depends on what issues either the dad or mom might be dealing with. But I would say to anybody who’s listening, if you’re thinking, and this is what I try to encourage people, if you’ve got in your head that somewhere down the track you have are going to have a family, then it’s never too soon to get started. And they’re really simple. I mean when you say “I’m preaching to the choir,” let me tell you the choir wasn’t always there, Charlene, when I started this and we’re talking more than 35 years ago. When I started on this personal campaign, I used to see eyes glaze over. Literally. I said, “Why do we need to do all of this?” I mean, it hasn’t changed and I’m thrilled that it’s now so much more accepted that this is the critical stage to ensure a lifetime of better health. Not just getting pregnant. Not just having a healthy baby. This is a lifetime legacy you’re giving your kids. What better can you do? Now I’ve completely again lost the thread of where I was going with that, just go back to what you said to me, sorry. 43:56 CL: We were talking about the preconception care period of the four months and some people kind of squawking. JR: Oh, sorry. Yeah, so I say to people the longer time the preparation you can give it, the better. So if you’re thinking, “alright, not this year, maybe the year after,” you can start doing things right now that are going to optimize your chances of conceiving when you want to. Things like hormone balance, healthy gut. JR: Plenty of vitamin D, all of your nutritional things. JF: Detoxification is a big one. JR: It’s never too soon to get started. JF: Yes. I was just going to say detoxification is a big one because that can take time. So knowing where you’re at with detoxification because the four months, you want to be perfectly detoxified by the time you hit four months because when you hit four months, you’re wanting to be upping the ante with your vitamins and minerals and omega-3’s and all of those things to get perfectly healthy, but you want to be detoxed beforehand, so that’s one of the areas it’s really important. 45:00 CL: Thanks for bringing that up. Okay, so here’s something. Here’s a statement and I think you’ve covered it and just explained and people read this. “Most maca found at stores is actually more suitable for men.” Is that a true statement? JF: Yes. But that’s a general statement. I would more say that most maca that you find in stores is good for adrenals and energy. 45:26 CL: Got it. Okay. JF: So what you want to be doing is however obviously looking at the particular types and we sort of drifted off a little bit but I spoke about yellow maca being ideal for obviously litter size and uterine weight and things like that. But when it comes to women, there’s also a phenotype which is ideal for menstrual health and then there’s a combination that we have found which is ideal for hormone balance. So when you’re looking at conceiving as a woman, obviously you want to have a healthy uterus and impact that aspect. But we don’t have big litters. Usually we have 1 or 2 or if we’re lucky, 3. But what we do want to improve is menstrual health, making sure that that’s optimal and obviously making sure our hormones are in balance and that’s why looking at all of the phenotypes and coming up with a combination was so important for us because when you’re looking at health for women at different stages of life, it isn’t just about one thing. It’s about balancing hormones and when it comes to fertility, balancing hormones, menstrual health and fertility. When it comes to women who are postmenopause, it’s often about heart health as well as hormone balance and bone health. And when perimenopause for menopausal symptoms. So finding what’s the right thing. And then with men, the combination that you’ll get in stores is beneficial and help with the adrenals, but wait, if there’s particular types which can be even more beneficial, why wouldn’t we increase the ratios of those? Then the other aspect is obviously the bioavailability and the body’s ability to absorb it; and concentration, that’s the other factor. You know, that’s one of the things when it comes to herbs, we hear a lot about “Hey, you can use this herb. It’s been used traditionally in this country for thousands of years.” And the thing relating to that is that yes, if you take that particular herb every day of your life for 5 or 10 years of your life, you’re probably going to have the benefits of it. But if you are looking to have that benefit from that particular herb in a week or two weeks or three weeks or three months, you’d need to have an amount that’s going to actually have a therapeutic impact on your body. And again, that’s the thing with herbs is it’s getting the right type, making sure it’s bioavailable, stable, but then getting the efficacy that we need to have the physiological effects that we want to have to improve our health. 48:04 CL: How does one find out more about the Femmenessence line of maca products? JF: They can go to Femmenessence.com. 48:13 CL: Okay, and that’s going to be in the podcast notes. JF: Well, it depends on the weekend, Jan. Let’s be honest. JR: James, you know I’m on duty every day. 49:43 CL: I was really impressed by that. I mean, yeah, that type of support. Because a lot of questions and concerns come up and things like that. Now, so when I started talking about your particular product and the research studies and things like that, of course people were interested and then one woman was quite upset because she lives in Canada in the Toronto area and she was not able to get it. JF: We’re going through the regulatory approval into Canada at the moment and we will have it in Canada next year some time. But in the meantime, people can just email our customer service and they can actually organize shipping it directly to them and we are in the next—I’ve been told, I hope in the next 21 days our website is going to be updated so people in Canada and Australia can actually order direct online from our website. 50:37 CL: Oh, nice. Okay. This person will be… She was like, “I’m really frustrated.” I go, “Gosh. I don’t know how to help you.” Okay, that’s wonderful. She’ll be happy to hear that. JF: It’s obviously in stores as well. Whole Foods and Sprouts and all of those stores as well, those health food stores. JF: Not in Canada yet. That will be next year. 50:58 CL: Right, right. Yes, I saw that in the local stores. That’s great. You know, I mean, I’d like to invite you to a part 2 and then we can talk about some of the other supplements that you could recommend, I definitely wanted to keep it on this. You’re so knowledgeable and you two, Jan, I mean both of you, have such a breadth of knowledge on this subject and I know on so much more pertaining to preconception health. I’d love to have you back on at some point. JR: I’m sure we’d love to come back. JF: Absolutely. The only point that I was keen to just sort of talk about is that birth control and the pill is a huge topic at the moment and there’s a lot and a lot of talk about it. What’s really interesting in the United States is 20 percent of women under the age of 36 are on oral birth control for off prescription. So not for contraception but for PCOS, amenorrhea, endometriosis, fibroids, whatever it is. And the thing about birth control is birth control introduces hormones into a woman’s body and manipulates and controls her hormones and mask symptoms. It doesn’t fix it. Women come off birth control 5, 10, 20 years later and all of a sudden these symptoms come back. That’s what’s so special about balancing and regulating and correcting your hormones with us, with Femmenessence because instead of manipulating and masking, it’s actually going into recalibrate and balance and regulate the body to correct those conditions. And the only thing I would say is that when you take birth control it happens really quickly because you’re introducing hormones and it’s manipulating the system. Femmenessence takes time. It might take you 1 cycle, 2 cycles, 3 cycles, 4 cycles. We actually have about a 95 percent success rate for women who use it between 2 to 4 cycles. Because it takes a bit of time when the body can get into balance. You know, you not only are able to conceive but there are so many other aspects of your health that are profoundly impacted because hormone balance is one of those key systems in our body which are profoundly important. We have our microbiome which affects our immune system and so many factors. We have our digestion and our detoxification system and then we have the HPA axis which impacts hormones, neurotransmitters, metabolism. Those three systems are just the foundations of health. So I would just sort of say to people who are looking at using hormones like birth control or things like that to correct these conditions, just to be aware that they don’t correct them. And it doesn’t mean that they don’t have a place, it doesn’t mean for someone who has a very serious condition. I always talk to people about what’s your health timeline. If you need a dialysis or a liver or kidney transplant, milk thistle ain’t going to cut it. So, the same thing. If you’re in a very serious situation, hormones, it’s a very important place for those. But when we’re looking at trying to address those things and as Jan sort of said looking at that long-term health aspect, getting the body into optimal hormonal balance through HPA is key. 54:24 CL: Sorry if you hear my dog in the background, I don’t know what’s going on but hopefully that’s a faint sound. 54:33 CL: Exactly. But yeah, thanks for bringing up the birth control topic because yeah, a lot of women are frustrated because it is used off-label and for me it’s personally a little bit horrifying that some women are on it for, I mean, it was never meant to be a long-term solution for anything and yeah, like you said, 15-20 years sometimes, like good God, and then they’re quite frustrated. Now I’m trying to start a family and I’ve been on birth control for so long. So thanks for bringing that up. JR: I was just going to say prior use of hormonal birth control is one of the big issues that precedes possible infertility and as you say, it is often a 20-year, sometimes more, women are leaving their babies until they’re 40. They might have been on it since they were 16. Twenty-five years. Anyway, I think James has explained why that is something that has to go. And there are the nutritional deficits that are going to need to be corrected. The microbiome health needs to be restored. So yes, it’s definitely part 2 coming up, Charlene, I think. JF: Yeah. Birth control, one of Jan’s big things is it reverses zinc-copper ratios which has a profound adverse effect on fertility. It throws our hormones out of balance. There’s a whole cascade of things that it’s the next hormone replacement therapy, you know, where for sure there’s benefits for it but what do we need to be looking at? What do we need to be careful of if we do do this and how long can we take it. There’s just so many factors that fortunately we’re starting to have those conversations now. 56:26 CL: Yeah, there has to be a solution. I remember when I was in acupuncture school, one of our teachers is a gynecologist from China and she really lectured us about the dangers of the birth control pill. So I think every woman in my class got off it and two did get pregnant out of a small class, so I know. Yeah, it’s a big topic. But that would be great to bring that during our part 2 is a little bit more on birth control and just some of the kind of, what’s the right word, just the results of using it long-term like you’re talking about copper imbalance and things like that. JR: Copper and zinc, yeah. Massive. JF: And what are the alternatives. It’s one of the things Jan talks a lot about is that, you know, part of being an expert in preconception health is being able to teach people how not to conceive, get ready and then when they’re ready to conceive. I have to pay a lot of attention to those lessons. JR: Yeah, he’s been practicing. 57:31 CL: Well thank you so much. I will contact you in the next couple of weeks when this gets published and I really enjoyed this interview and learned so much. Thank you very much. JR: Thank you, Charlene for having me on your show. It’s been a pleasure. JF: Yeah, and I thank you very much and I’m very glad that you do due diligence and were excited about learning more about maca because as we have that first conversation, I really do understand how people don’t want these things to be an advert and I don’t want to just be talking about something. But sometimes you come across topics where there’s only certain people who have a huge amount of information on those things at that time. In the future, it will, and that’s what’s been really interesting for us is that even though this herb has been around for 2000 years, a lot of this research about phenotypes and everything has only happened in the last 10 years. Something that I sort of didn’t talk about but has come to the fore is that there was a lot of debate about did phenotypes actually have an impact and were they different, and there was a lot of herbalists and a lot of people who said that this was all marketing and that the Peruvians used it for 2000 years and they’re all the same. And so we actually went away and we DNA profiled, we analytically profiled all of the different phenotypes and showed that the DNA was different. The analytical profile was different, all of the research that was coming out on different phenotypes showing that one would work for something and none of the others would work, we’ve put all of that together and we are really fortunate that the President of the American Botanical Council, Mark Blumenthal, who I’ve known for 20 years, he saw this research and he said, “You know, James, this is sort of laying down the gauntlet and this is something that’s really interesting and is a gamechanger; however, we need to do this research ourselves as a third-party even though our research had been done at universities that we were connected with.” He wanted to do that research himself independently and he was working with the USDA (US Department of Agriculture). They went away and they used our retention samples, they got samples from other companies and they mirrored the research that we had done and they found exactly like we did that the different colors are different phenotypes, have different DNA and different analytical profiles and are different. That publication is only coming out this year. This isn’t something that’s been around for a long time and it’s why people are only starting to really hear about this now is because it’s now coming to the forefront of the conversation about this herb. 60:22 CL: Well, thank you so much. It’s just been a really interesting conversation. I feel like I’m a bit of a maca expert now. Not compared to you but I mean, leaps and bounds from where I was just a few weeks ago from having that conversation with you and this one. And thank you, Jan, as well. Okay. JF: Cool. Thank you very much. 60:47 CL: We’ll talk again soon. JF: Okay, Charlene. Thank you.